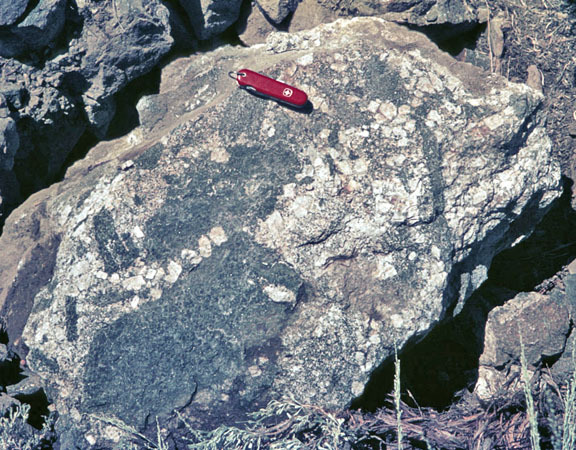 Left: Granite with inclusions of dark gray Campito Formation quartz-muscovite-biotite hornfelsic enclaves and large, euhedral K-feldspar megacrysts. ©A.G. Sylvester, 1963. 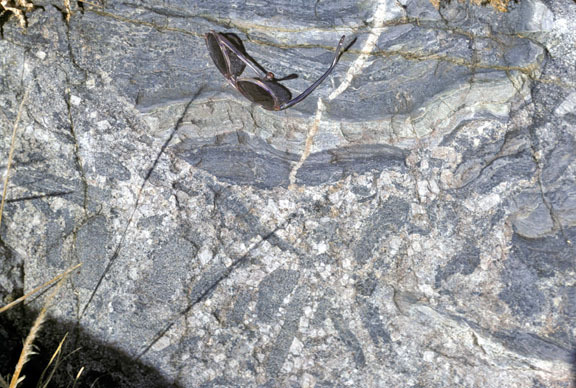 Right: Loose block of granite with dark gray Campito Formation quartz-muscovite-biotite-andalusite-fibrolite-cordierite-K-spar-plagioclase-andradite hornfelsic enclaves and large, euhedral K-feldspar megacrysts. ©A.G. Sylvester, 1963. 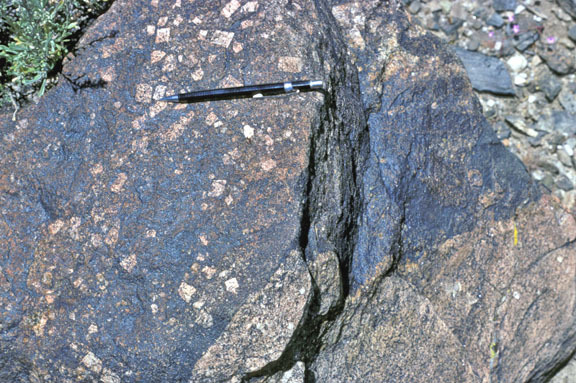 Left: Granite with inclusions of dark gray Campito Formation quartz-muscovite-biotite hornfelsic enclaves and large, euhedral K-feldspar megacrysts. ©A.G. Sylvester, 1981. 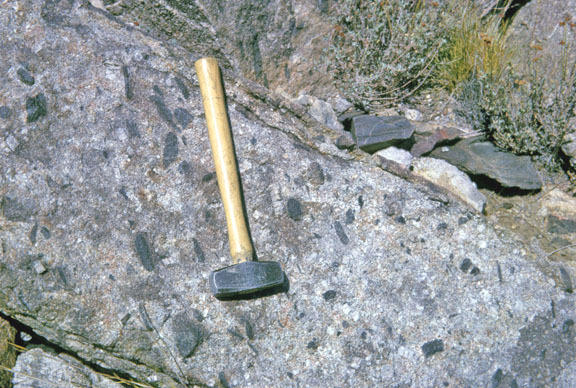 Right: Loose block of black Campito Formation quartz-biotite hornfels with euhedral K-feldspar megacrysts in contact with granite dike. ©A.G. Sylvester, 1992.